Costume designer Sophie Fedorovitch was born in 1893 in Minsk to Polish parents. She studied painting in Kraków, Moscow, and St Petersburg and migrated from Russia to London in 1920. She was established as a painter – she held her first solo show at the Beaux-Arts Gallery in London in 1928 – until she met Frederick Ashton in 1925, after which she increasingly devoted her career to set and costume design. They worked together from A Tragedy of Fashion, Ashton’s first ballet in 1926. Costumes and scenery were by Fedorovitch, who continued to work with Ashton for more than twenty years. They collaborated on eleven works. She soon was acknowledged a key figure in British ballet. She took on British citizenship in 1940. Fedorovitch designed for several other British choreographers including Ninette de Valois and Antony Tudor, as well as for opera and theatre. From 1951 until her death in 1953, she was a member of the artistic advisory panel of Sadler’s Wells Ballet. Fedorovitch died in 1953 as a result of a gas leak at her house at no. 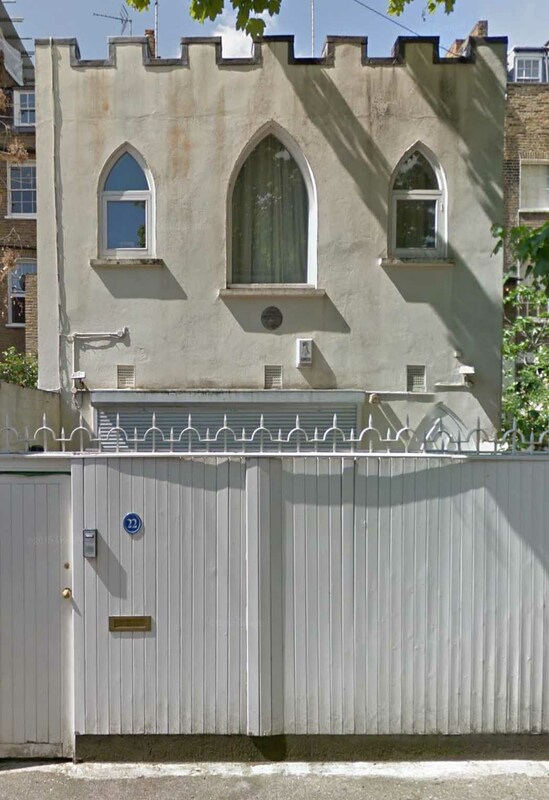 22 Bury Walk, a short, hidden, narrow street between the Fulham and King’s Roads in Chelsea. The house, a folly known as the ‘Gothic Box’, was built to resemble a toy Gothic castle with pointed windows and castellated roofline. On its façade is a memorial plaque to ‘Sophie Fedorovitch, costume designer’.